Image from Fast and Flurrious. Lady Moon is in Pisces, a Mutable Feminine Water sign, for this Full Moon, and the day, Friday, Frigga’s day, is adding to the abounding feminine energies. 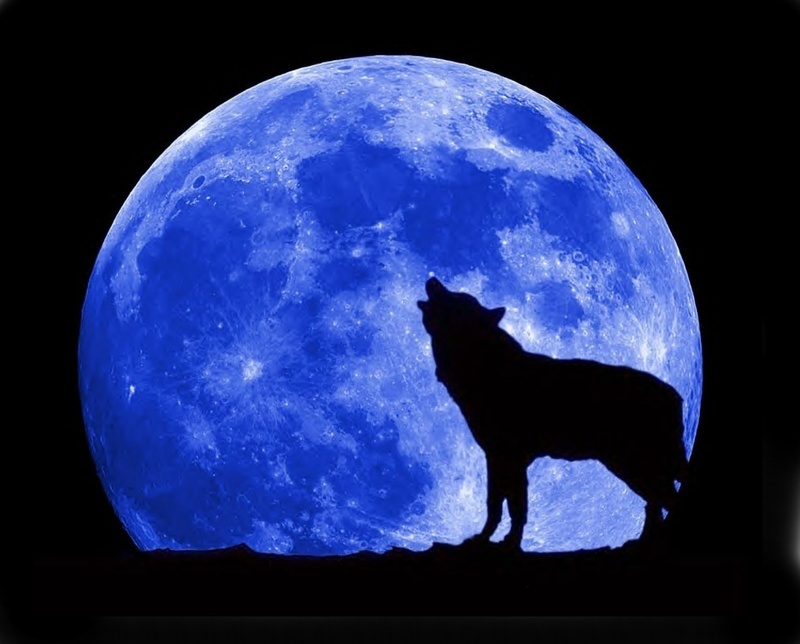 The second Full Moon in the month of August, it is called a Blue Moon because of the rarity of seeing two full moons in one calendar month. There is no particular metaphysical significance to a Blue Moon, no reason to give it more emphasis than any other Full Moon. Named the Piscary or Wort Moon, this Full Moon is a good time to celebrate your accomplishments since the most recent New Moon, a good time to move energy forward toward goals to be achieved by the next New Moon, a good time to keep positive energy moving through and around you. Feminine energies are nurturing, loving, supporting, encouraging, respecting. I recommend that your magickal workings focus on these positive qualities. Prepare yourself in advance by deciding what topics you find it best to focus your intent upon. The possibilities include: artistic endeavors, health and fitness, knowledge, change and decisions, money, motivation, protection, self-improvement. Sea water is an important part of Full Moon magick. Sea salt dissolved in tap water is an acceptable substitute. The sea salt should be thoroughly dissolved and the water should then be charged in advance of your celebration. The simplest way to charge water is to put it in a glass container and let the container of water sit in sunlight or moonlight for 8–12 hours. If your water is being charged outside, be sure to cover the container to keep bugs/leaves/dust out. If it is not convenient to charge the water outside, you may place the container in advance of your celebration on a window ledge for the appropriate time. One use of the charged water is to invoke Matron Goddesses such as Aphrodite and Cerridwen to assist you in your efforts. You may do this by sprinkling some charged water to the East, South, West, and North, calling on the Matron Goddess of your choice at each direction. Pour some charged water over your bare feet if you are able to celebrate outdoors under the light of the Full Moon. If you celebrate indoors, spritz yourself from head to toe with charged water, being sure to include the soles of your bare feet. Put charged water into an atomizer or mister for this purpose. Any leftover charged water should not be saved but returned to the earth. Using it to water houseplants, shrubbery, or trees is said to give extra positive energy to the plant.